The next day, NASCAR announced their own council. Instead of giving full control to the drivers on the formation, NASCAR stepped in and took partial control of the idea. Each year, the members of the council would rotate. But, not for 2019. The status of the NASCAR drivers’ council is unknown to the drivers. In other words, it no longer exists. “I think there’s value to it. Certainly there’s value. 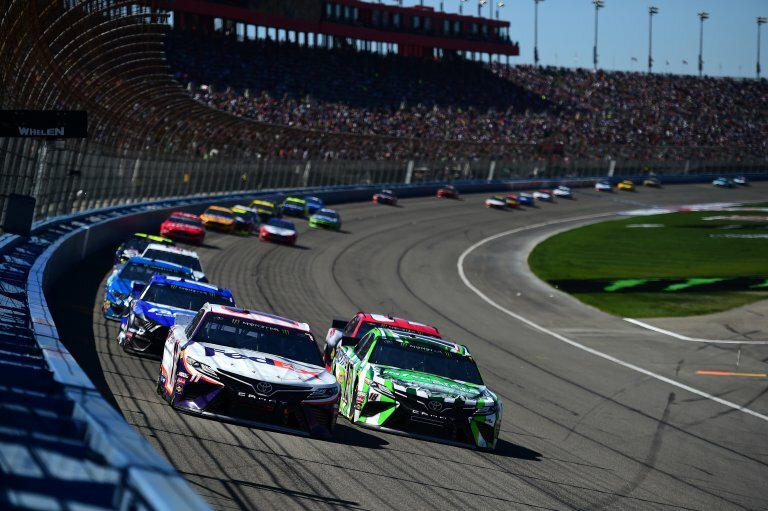 Driver feedback is crucial to putting on good racing in my opinion,” Denny Hamlin stated of a NASCAR drivers council. Last year, Brian France was arrested for a DUI. The former NASCAR CEO has since stepped down from the position. That has placed his uncle, Jim France into the position. Brian France rarely visited the tracks on race weekends. Alternatively, Jim France is at all the races. Jim is there with a notebook, taking notes. It’s speculation but it appears France has included all the drivers into a council in his mind as he gets a feel of the pulse in the garage area. Status of the 2019 drivers council? “They haven’t announced anything as far as I know of for this year,” Hamlin continued.